Intrusive damn thoughts. What I would do to live without them. Intrusive thoughts are automatic, anxiety provoking thoughts that often take the front line of many mental health disorders. They can sometimes occur out of the blue or from a triggering situation. They initially come as just a thought, like how any other thought would enter our mind, but it’s how we end up perceiving it that changes it to an intrusive thought. We immediately allow this thought to have importance and that’s what gives it the true power to cause turmoil. For example, if I was to have the intrusive thought ‘my family are going to die’ I would immediately start to freak out and try everything in my power to stop this from coming true. That could be ritualising, checking, asking. Anything that I thought would combat this thought. The crucial thing here is that I allowed the thought to gain importance in my mind, I immediately took it as fact. When, in reality, it’s just a thought. Nothing more than a thought that has entered my mind. It was how I perceived and acted upon it that gave it the ability to control me. Every single person in this world has intrusive thoughts every single day. It’s a natural thing! It’s very common for out of the ordinary thoughts to just spring into our minds unexpectedly. However there are two ways that you can deal with them. Letting the thought go. Brushing it off, maybe having a bit of a laugh at how strange and unlike you the thought was and move on. Immediately analysing the thought and accepting it as truth. Attaching it to your personality, ‘I must be a bad person if I have thoughts like this’ and then ruminating on the thought consequently making certain behaviors increase. I myself and I’m sure quite a few others end up struggling with the latter. We allow our thoughts to have too much significance. Now I’m not saying that all thoughts should become insignificant to us, because that probably wouldn’t be too good! However, there are automatic thoughts that we can learn to perceive differently and consequently benefiting us. Your thoughts do not define you. The nature of your intrusive thoughts does not define you. When you notice yourself having an intrusive thought and allowing it importance, take a minute to step back and evaluate the thought. Is this thought logical? Is this really going to happen? Do I have control over this thought’s situation? Stop the thought in it’s tracks. Question it. Thoughts are not facts. Imagine the thought as something physical (e.g a piece of paper) and pick it up as if you’ve just removed this thought from your mind. It ain’t needed! Scrunch it up and throw it the hell away. Guided mediation can also be very helpful if you have the appropriate time and space to do it. The nature of intrusive thoughts is that they strive off attention. If we give them attention then they gain authority. I know I’m repeating myself a lot here, but it’s the crucial bit! We’re not just immediately going to go from struggling with intrusive thoughts, to being able to ignore and let them all go, over night. It’s a process. Even if you’re just able to talk back to the thought a small bit, that’s still progress. Over time it will get easier, until we notice an intrusive thought creeping in and we can just be like “Nope! Don’t need you, bye bye. 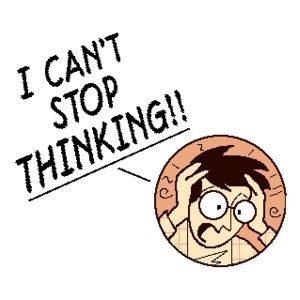 You’re just a thought, moving swiftly on!” and then just carrying on with our day, and even if at times we do allow an intrusive thought importance. We know how to get ourselves out of that cycle and get that intrusive thought moving on its way out of our lives! What we give importance to, gains power. Be careful with what that is. Excellent post, Ellen! I think we are on the same wavelength this week as I just posted about thought-action fusion yesterday. As you say, it’s not the intrusive thoughts that are the problem….it’s how we deal with them! Intrusiv thoughts are so hard to cope with, you describe it will! Very good advice, Ellen! But it’s easier said than done. But everyone should at least try to follow your advice. I discovered your blog via twitter as I was gathering info for writing my article. I commend you for speaking up on the reality that OCD does not need to be a barrier to living life well; rather with a positive attitude -like you have, it becomes a stepping stone towards living out your dreams. Blessings on you, Ellen, as you blog and are involved in your community. Your vantage point on mental illness will help others live beyond the disability that one too many people get stuck in. Hi Everybody, im writting from Mexico, i was diagnosed with OCD when i was 22 now i just turned 28, after almost 12 years of struggling i decided to get help, basically my ocd is what we call P-OCD is evErything related to intrusive thoughts and of course moving forward is a huge challenge, but a possible one. Since i was diagnosed I have postponed a lot of times some of my biggest dreams including travelling around the world. I´m Mechanical Engineer currently studying a master in Sciences, despite i have a good job and earn really good money im afraid of experience all these feelings and sensations of anxiety in a foreign country, away of home is something that i have avoided since i was 22. Please contact me if you need some sources of e-books related to OCD i would be glad chering them with you guys…. Reblogged this on My Recovery Journey. It was by accident that I stumbled across your blog for which I am so very thankful. I do not have time to continue reading its contents as I am at work but will do so when I get home. My son had a nervous breakdown at the age of 22, he will be 29 in June. He was diagnosed with severe OCD, anxiety and depression, his illness has taken away his life, his ability to perform the simplest of tasks, he is unable to function in society and lives a life of a hermit. The specialists have commented that his OCD is extremely severe. He has tried all of the medications available with no help, he is unable to get out of bed at times, he has not been able to have a shower now for over 2 years, or brush his teeth for the longes time …. my heart is broken for him; he wants to die as he says his life is not worth living … i have to keep on searching and looking for people or things to help him. The specialists feel that the only thing that might help him is DBS – deep brain stimulation …. this is terrifying me but if we don’t try he will end up dying either by taking his own life or giving up the will to live and perishing in the unit he is renting. I went on line to try and find a website or support groups that I could attend to meet other people who are suffering from this illness and their carers as I am desperately in need of help for myself. I am broken and feel so guilty that he has this illness because of me, I need to help him but am at a loss as to what to do. All I can do is keep on loving him, being there for him and supporting him through this dark journey. My main concern now is that I am getting older, 55 this year .. my wish is to see my son get to a position of being able to be a little independent, to be able to get out of bed, have a shower, not be afraid to open the front door and walk to the shops to get food … for him to be able to function without me … I have to continue my search for help. I will have another look at your blog as soon as I can. I pray you continue to enjoy your life OCD free …. I should say you are the VICTOR not the OCD. Your story about your son is truly saddening. OCD is such a cruel, manipulating illness and will do its best to hurt the sufferer and those around it as much as possible. I hope my blog can be of some assistance in this dark time. Please never give up on your son (I know of course you won’t) but what kept me going is knowing that people cared, that people could still see who I truly was, even when I couldn’t. The treatment on offer does sound extremely fairing and I wish you the best of luck, whatever you decide to do. I will continue to think about you and your son and I pray that things will get better for you. Anything you would like to talk about, I’m always here to listen. You can email me on ellensocdblog@hotmail.com. Hi Teresa, I just have to comment on your comment because I am also a mom whose son suffered from severe OCD. His OCD (and diagnosed anxiety and depression) was as severe as your son’s, but for a much shorter time. We were fortunate that we found the right help. In a nutshell, that help is exposure and response prevention (ERP) therapy, the evidence-based first line psychological treatment for OCD. There are people who can help you and who can help your son. There are residential treatment programs that specialize in ERP if he is willing to go. He can get his life back. 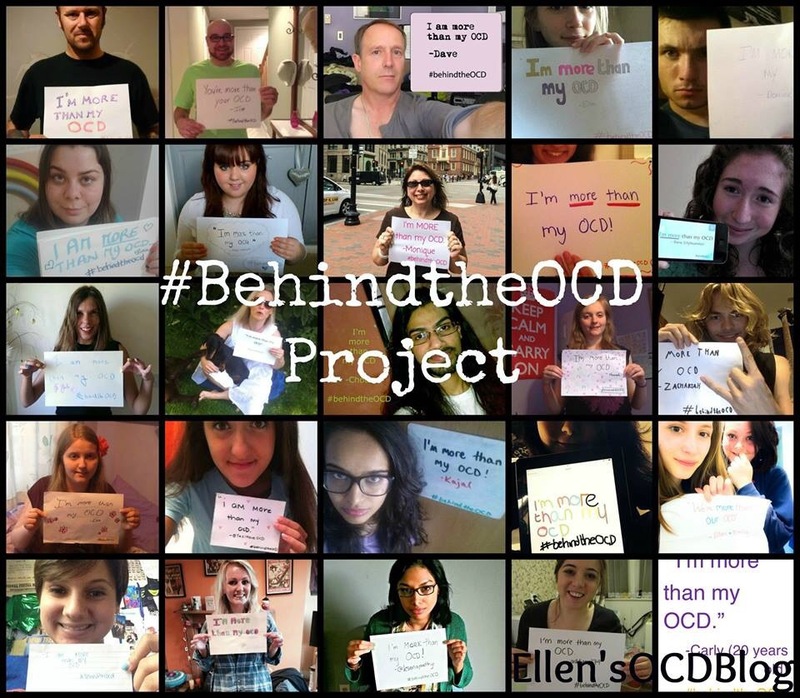 It doesn’t matter how severe OCD is – it is treatable. Please do not lose hope. If you’d like to correspond, feel free to go to my blog, where my email address is listed in the “about” section. And I am thankful for Ellen’s blog as well!